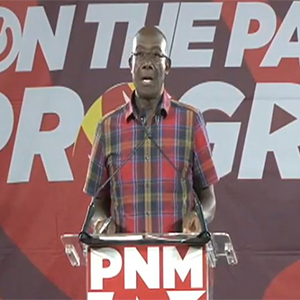 An arm of the Peoples National Movement condemns the recent description of Prime Minister Dr. Keith Rowley. In a statement the women’s league of the People’s National Movement says the clearly racist and offensive remarks were made by Opposition Leader Kamla Persad Bissessar when she referred to the Prime Minister as an “Oreo”. At her party’s Monday night meeting in Claxton Bay Mrs. Persad Bissesar she described the Prime Minister as the well-known cookie. In a release the PNM Women’s League says the Opposition Leader must apologize. The league says it is not the first time, Mrs. Persad-Bissessar has engaged in name-calling. The league says the urban dictionary defines “Oreo” as “an insulting term often used by blacks to derogate other blacks,” and therefore this represents a new low, even for a former prime minister. It says such race baiting has no place in the politics of Trinidad and Tobago and deserves to be condemned by all.